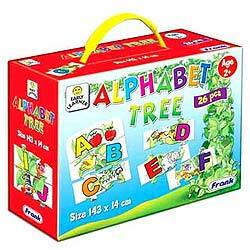 Alphabet Tree is an early learner series. This is an enjoyable puzzles for young children. Learning the alphabet has become much more fun. The child makes the tall tree by arranging the letters of the alphabet in the correct sequence.